ENAIRE creates and updates the site identified by the domain name www.enaire.es to provide information of public use. These general terms and conditions govern access to, browsing and use of this website. 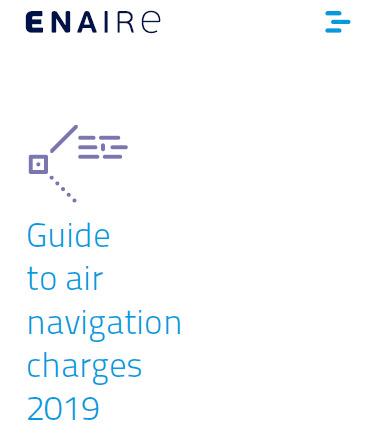 However, ENAIRE may also establish specific conditions to regulate the use and/or contracting of specific services offered through the website. In the event of any discrepancy between that stipulated in the general conditions and the content of the specific conditions for a particular service, that established in the latter will prevail. This legal notice governs the use of the Internet website www.enaire.es which the state-owned company ENAIRE makes available to Internet users. The state-owned company ENAIRE is one of the state-owned entities governed by Article 43.1.b) of Law 6/1997, dated 14 April, on the Organisation and Functioning of the State Government, and is attached to the Ministry of Public Works. ENAIRE has independent legal personality, separate from that of the central government, full legal capacity and ability to act in fulfilment of its purposes, and its own assets. Address: Avenida de Aragón, Building 330, Doorway 2, 28022, Madrid. Main entrance: 1, Campezo Street, 28022, Madrid. ENAIRE makes every effort to avoid errors in the content of this website. ENAIRE does not guarantee the accuracy or current applicability of the information available on the website, which may be modified without notice. ENAIRE assumes no responsibility arising from third-party use of the content of this site. All content included here (including, but not limited to, tenders, aeronautical information, maps, job offers and so on) is for informational purposes only. The information presented is not necessarily exhaustive, complete, correct nor updated. In the case of bids and legal texts, no guarantees are made that the reproduction is an exact copy of that adopted officially. Only texts published in the printed versions of the corresponding official bulletins or in the media are considered authentic. The information provided by ENAIRE is general and involves no professional or legal advice. ENAIRE will make every effort to avoid website downtime, but cannot guarantee the absence of technological errors, nor the permanent availability of the website and the services it contains, and therefore shall not hold itself liable for any loss or damages that may be incurred due to lack of availability or faults in access caused by disconnection, breakdowns, overloads or network failures for which ENAIRE cannot be held responsible. ENAIRE does not guarantee the absence of viruses or other elements that may alter your computer system. ENAIRE waives any responsibility for damages or loss of any kind due to viruses or harmful elements. If, as a result of the registration, users are issued a password, they undertake to maintain the password secret and to use it and access such services with due diligence. Therefore, users are responsible for storing appropriately any identification details and/or passwords that are supplied to them by ENAIRE and for keeping them confidential, and undertake not to allow third parties to use them, either temporarily or permanently, nor to allow other persons access to them. The user will be responsible for the unlawful use of the services by any non-authorised third party who uses a password for said purposes due to the non-diligent use or loss of the password by the user. Those affected have the right to access, rectify and delete their data, as well as other rights, before the ENAIRE Central Data Protection Unit (DPCU), Avda. de Aragon 330 Building 2 - 28022 MADRID (Madrid) or via the ENAIRE Electronic Administration (sede.enaire.gob.es). ENAIRE is the holder of the intellectual and industrial property rights of this website and its content. The texts, designs, images, databases, logos, structure and other elements of this site are protected by intellectual property laws and international treaties. Any reproduction, transmission, adaptation, translation, modification, public communication, or any other exploitation in any way or by any means, electronic, mechanical or otherwise, is strictly prohibited without the express written consent of ENAIRE. Any infraction of these rights will be prosecuted to the full extent of the law. Users or owners of other websites who wish to create a hypertext link (hereinafter link) to the website must ensure and respect the rules set out by ENAIRE regarding internet links. They may link only to the Index or Homepage of www.enaire.es, unless express authorisation, in writing, is given by ENAIRE. Links must be absolute and complete, that is, they must lead the user, with one click, to the URL http://www.enaire.es and must feature the whole Homepage screen of www.enaire.es. Unless expressly authorised in writing by ENAIRE, the website making the link may not reproduce, in any way, www.enaire.es, include it as a part of their website or within one of its "frames" or create a "page viewer" for any page of www.enaire.es. ENAIRE does not authorise links to www.enaire.es from websites containing materials, information or content that are unlawful, illegal, degrading, obscene or, in general, which contravene morality, public order or generally accepted social norms. In all cases, the existence of links to the website from other websites does not imply that ENAIRE has any kind of relationship or association with the owner of the linking website, nor that ENAIRE promotes, endorses, guarantees or recommends the content of such websites. In turn, the ENAIRE website may contain links to other websites that are not run by ENAIRE. ENAIRE declines any responsibility for the information contained in these websites that can be accessed through the links or search engines on pages on the ENAIRE website. Links are included on the ENAIRE website for information purposes only. ENAIRE reserves the right, at its discretion, to deny access to this website or any part of it by any user, at any time and without prior warning. ENAIRE reserves the right to modify the contents and warnings applicable to this website. AIP España: The information contained in the Consult AIP section of the ENAIRE website is of a purely informative nature. The text published in the digital -DVD- edition and in the AIP Downloads section via the ENAIRE public website shall be the only text considered authentic and official. ENAIRE declines any responsibility for the content of Notices to Airmen (NOTAM, SNOWTAM, PIB) provided by third parties beyond its control. Through its website, ENAIRE provides the general public with information about any current tenders and other contracting matters. ENAIRE assumes no liability for any actions that private individuals may undertake on the basis of information contained in these pages. On the ENAIRE website you can consult and participate in its Public Employment Announcements, and find information on other jobs at ENAIRE.